Blizzard's latest product becomes fastest-selling PC game ever. IRVINE, Calif. - JULY 22, 2002 - Blizzard Entertainment®, a studio of the Games division of Vivendi Universal Publishing, announced today that Warcraft* III: Reign of Chaos* has surpassed 1 million units sold worldwide, according to EDI sell-through, internal company estimates, and reports from key retail accounts around the world. 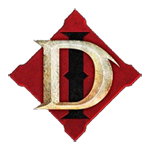 Over 4.4 million units of the game have been shipped to retail to satisfy demand for Warcraft III, which is now the fastest-selling PC game ever, surpassing the records set in 2000 and 2001 by two other Blizzard titles, Diablo* II and the expansion set, Diablo II: Lord of Destruction*, respectively. Following in the tradition of previous Blizzard games, Warcraft III: Reign of Chaos is now the seventh Blizzard product not only to sell 1 million copies, but also to reach #1 in U.S. sales. The game, which began shipping on July 3, is topping PC sales charts in North America, Europe, and Asia. "We are very excited about the worldwide demand for Warcraft III:Reign of Chaos," stated Mike Morhaime,Blizzard Entertainment president and co-founder. "We put a lot of effort into polishing every aspect of Warcraft III, and the game's popularity tells us that our long hours and hard work have paid off." "Warcraft III: Reign of Chaos is the largest PC release for us since Diablo II in June 2000. We had high expectations for this release and are pleased that it's a solid hit," stated Bob McKenzie, Director of Merchandising for GameStop, Babbages, Software Etc., FuncoLand, and Gamestop.com. "Sales of the game have rivaled those of Diablo II: Lord of Destruction from last year, and from what we've seen with previous Warcraft products and other Blizzard games, we expect Warcraft III: Reign of Chaos to maintain top-seller status well into next year and beyond." In Warcraft III: Reign of Chaos, players revisit the war-torn world of Azeroth a generation after the end of the Second War between the Orcs and the Humans. The fragile peace that had since settled over the land is now on the verge of being shattered, for a dark power has returned after thousands of years to carry out its nefarious plans. Two new races - the Undead Scourge and the Night Elves - emerge to join the fray, as players follow a single epic storyline through four successive campaigns. Players can also take the battle into their own hands in an enhanced multiplayer mode, playable on local area networks and exclusively over the Internet on Battle.net®, the largest online service of its kind in the world. A focus on concentrated battles between groups of mighty warriors brings an exciting new blend of action to the franchise. In the single-player game, players follow the adventures of Legendary Heroes, who grow more formidable with experience. As the game progresses, these Heroes are able to learn spells and special abilities and acquire powerful magic items. Heroes advance even faster in multiplayer games, adding to the intensity of strategic combat between rival powers. 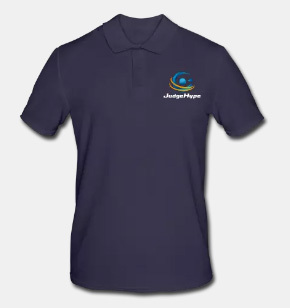 Expanded multiplayer options include the ability to share units and resources with allies and to compete anonymously against other players of similar skill levels. Warcraft III: Reign of Chaos also includes the most powerful and full-featured World Editor ever released for a Blizzard game. The World Editor puts the same tools used by Blizzard's designers into the hands of players, enabling them to create 3D maps and unique missions, with scripts for units, spells, and action-packed events. Players will also be able to produce their own in-game cinematics, using flexible camera controls and incorporating .mp3-based sound files. 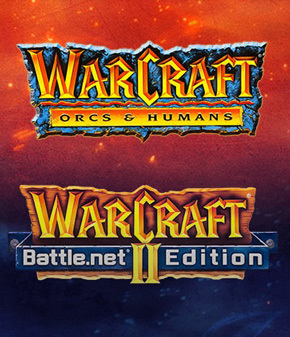 Since its debut in 1994, the #1-selling Warcraft series has won industry acclaim and has shattered sales records worldwide with over 6 million copies sold. In 1995, Blizzard followed the well-received Warcraft:Orcs and Humans* with the critically acclaimed Warcraft II: Tides of Darkness*, which won multiple Game of the Year awards and is still considered by many critics to be one of the best games ever made. Warcraft III: Reign of Chaos is available at retail chains worldwide for Windows® 98/ME/2000/XP and Macintosh® formats, at a price of approximately $55-$60. The game is also available directly from Blizzard at (800) 953-SNOW and www.blizzard.com. Warcraft III: Reign of Chaos has received a Teen rating from the ESRB. Best known for blockbuster hits including the Warcraft series, StarCraft*, and the Diablo series, Blizzard Entertainment (www.blizzard.com), a studio of the Games division of Vivendi Universal Publishing, the world's third-largest publishing company, is a premier developer and publisher of entertainment software renowned for creating many of the industry's most critically acclaimed games. Blizzard's track record includes seven #1-selling games and multiple Game of the Year awards. The company's free Internet gaming service Battle.net reigns as the largest in the world, with millions of active users. 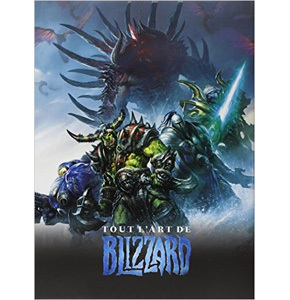 Nombre de visites sur l'accueil depuis la création du site Warcraft III : 7.716.356 visites.